Our final Champs & Chumps competition update before the end of the season has John Hornbuckle from the South West & M5 Branch claiming the top spot for the first time this season, but with only a few weeks to go can he hold on to the lead and claim the £115? With only a few months of the season left to play we have yet another new leader of our Champs & Chumps competition as Darren Doughty from the Thames Valley Branch claims the top spot for the first time this season, but can he hold on to his 3 point lead until the end of the season? Last month the Serbian Branch of Nottingham Forest Supporters Club took part in a fan’s tournament with supporters groups of English football teams from all over Europe, Branch secretary Milan Milenovic tells us how they got on. We received the invitation for this year’s Tsaribrod Cup, held in the Serbian town of Dimitrovgrad, which we got from our very good friends in the Newcastle Bulgaria fan team. Yes, we support different teams, but in the past 3 years we have become very good friends and have spent a lot of time in each tournament we play together. The competition had eight fan teams split into two groups. The teams were from Bulgaria, Serbia, Hungary and one team had some members from France. We reached the semi-final of the competition winning two matches and losing one. Wins against Arsenal Hungary 4-2 and against Sunderland Bulgaria 2-0, and losing to Arsenal Bulgaria 4-0. In the semi-final we simply didn’t have any luck! Losing against our friends Newcastle Bulgaria in a dramatic match by 3 goals to 2. We then played in the 3rd place match which we won against our Serbian friends Fulham Serbia 2-1. I must say that I am very proud to my team and what we did, and I am sure that we represented Nottingham Forest in the best possible way in this part of Europe! Congratulations to Milan and his team for their 3rd place finish, and thank you for flying the flag for Nottingham Forest in Serbia and beyond. 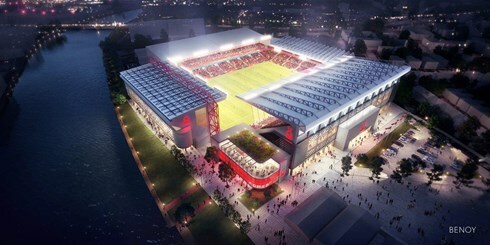 The Official Nottingham Forest Supporters Club would like to put on record their full support of today’s announcement by the football club for the plans to redevelop the City Ground. These plans will not only improve the match day experience for supporters, but also guarantee our long term future at one of the most iconic football grounds in British football for future generations of Forest fans. We look forward to working with the football club over the coming months and years to help make the redeveloped City Ground become a place that all of us can be proud of, and also to help make the transition period while work takes place to be as unobtrusive as possible. Football would not be the sport we all love without the fans that make every match day so special, with improvements to capacity and accessibility for all of our supporters we can make them even better over the coming seasons. Last December we launched a competition to design our new pin badge for the 2019-20 season and were inundated with quality designs from our members over the following weeks. Although the design of next seasons badge will not be revealed until the summer, we can announce that the winning entry was sent in by Daniel Cawthorn from the Pownall branch. Daniel will be receiving his £25 prize over the next few weeks. Our Membership Secretary Tremaine Binkley said “We have had some really good quality designs sent to us over the past month, but the winning one has been done from a supporters perspective and that’s why it is just right”. “Even Daniel does not know exactly what next seasons badge will look like as he sent in three entries to the competition, so he will also have to wait until the membership packs are revealed later this year to find out which one of his designs was chosen”. 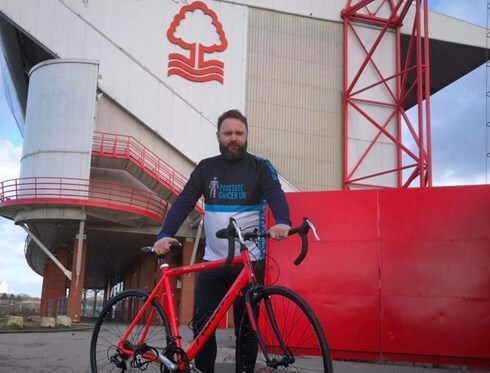 Nottingham Forest Supporters Club member Dave Marmion from The Royal Children Branch is taking on the Football to Amsterdam Challenge this June in aid of Prostate Cancer UK and is looking for sponsors to help him on his way. The charity ride starts from Lee Valley VeloPark in London on the 7th of June, heading to Harwich for the ferry to the Hook of Holland. The following day its back on the bike for the remainder of the ride to Amsterdam, completing the 145 mile journey in just 2 days. Dave has already raised over £1000, and you can help him make his target by going to his Just Giving page at www.justgiving.com/fundraising/david-marmion or by texting MARM84 DONATION, adding your sponsor figure from £1 to £10, to 70070. Jersey sponsorship is also available and starts from £120. Everyone at Nottingham Forest Supporters Club wishes Dave luck and hope as many of you as possible can donate towards this worthwhile cause. We hope to report on how he gets on over the summer. Our first update of the new year see's another new leader of our Champs & Chumps competition as Ben Crosby from the Thames Valley Branch claims the top spot for the first time this season, but can he hold on to it until the end of the season? The Calverton branch of the supporters club are holding a Charity Evening with Dave Bassett on the 8th of February at the Top Club in Calverton and supporters club members can purchase reduced price tickets for the evening. Dave Bassett will be talking about his long career in football, including his time managing Nottingham Forest to promotion to the top flight in 1998. There is a fully licensed bar available and all ticket holders will receive a chip cob during the evening. Ticket prices are £15 per person, but Nottingham Forest Supporters Club members can purchase them for a reduced price of £10. For more information and to purchase tickets contact Mark Richardson on 07905 893990. Part of the membership pack that every member of Nottingham Forest Supporters Club receives each season is our club pin badge, which has become a collectable item among Forest fans for many years. We are asking for your help in designing the badge that will be worn by our members all around the world next season. As you will see from the photo, the design of our badge has had many interpretations over the years. The only criteria that must be adhered to is that the design includes the text ‘Nottingham Forest Supporters Club’ or ‘NFSC’ and which season it represents, in this case ‘2019-2020’. The competition is open to all members of the supporters club, with a prize of £25 going to the winner and the honour of your design becoming a small part of the history of Nottingham Forest Football Club. Entries can be via post or emailed to us as a PDF or Word document. If you have hand drawn your design you can email us with a photo of it attached. Please email your entries to our Membership Secretary, Tremaine Binkley, at tbinkleyvvilla@hotmail.co.uk or by post it to her at 11 Norburn Crescent, Old Basford, Nottingham, NG6 OAN. The closing date for entries is 31st January 2019. The final Champs & Chumps competition update for 2018 coincides with us approaching the half way mark of the season, but its still very tight at the top of the table where Louise Fox from the South Coast Branch returns to the top of the table just 2 points clear of the chasing pack. On Boxing Day Nottingham Forest travel to Norfolk to take on Norwich City at Carrow Road and the Gedling Branch still have limited spaces on their coach to the game. If you would like further information on times and pick up points please contact Joan Bakewell on 0115 956 1227, or email her at joanbakewell@ntlworld.com. 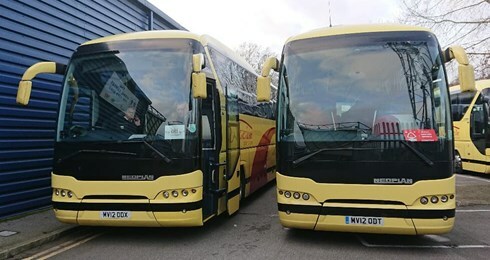 There are a number of branches that run supporters club coaches throughout the season, to find more information on who they are, and where they pick up from, go to the the coach travel section on this website. Nottingham Forest Supporters Club's 2018 AGM took place on Saturday in the Pitch Diner before our home game with Ipswich Town. Before the AGM officially started Nottingham Forest FC Chairman Nicholas Randall, Director Jonny Owen, Club Ambassador John McGovern, Media & Communications Manager Ben White and Nigel Jemson were all in attendance to welcome and chat to supporters club members. 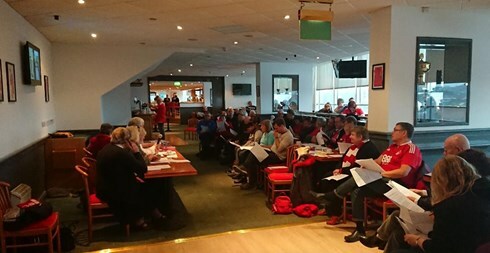 The meeting started with speeches from Supporters Club Chairman Keith Mather and General Secretary Rita Kirk, who both reported another year of growth in membership, including overseas branches, and the improved communication between the supporters club and the football club since the club had been taken over in 2017. Following on from this announcement Chairman Keith Mather spoke of the continued search for new members to join the committee, to assist with the running of the supporters club and to bring some fresh ideas on how we can go forward as a club. General Secretary Rita Kirk closed the meeting by thanking everyone who attended the meeting, including the representatives of the football club, and also thanked the football club for providing the facilities at The Pitch Diner for the AGM to take place. John McGovern and Nigel Jemson signing books before our AGM took place on Saturday. The AGM of Nottingham Forest Supporters Club will be held this Saturday, 1st December 2018, before our home game with Ipswich Town takes place later that afternoon. It will be held at The City Gound's Pitch Diner in the Trent End Stand, with doors opening at 11:15am for an 11:30am start. 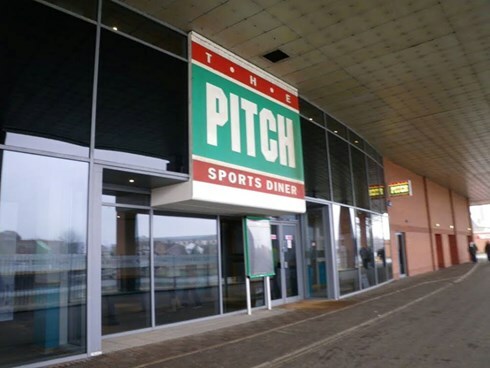 There is a lift available to the Pitch Diner from the main entrance and the meeting will take approximately 1 hour. All members are invited to attend, but please remember to bring your membership card on the day as it must be shown to gain entry. The football clubs management and directors have been invited to the meeting so we are hoping for a good attendance on the day. John McGovern flanked by Mansfield branch member Silvano Taylor (left) and Branch secretary Peter Mitchell. 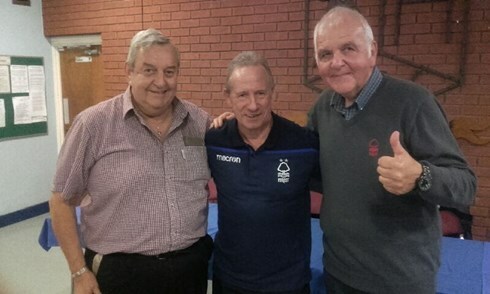 The Mansfield Branch recently held a social event titled 'An evening with John McGovern' - there were around 80 members and friends present. John accompanied by his wife Ann gave a talk on his long and distinguished career, followed by a question and answer session. He was in great form and everyone much appreciated the insight he gave on Brian Clough and Peter Taylor together with the professional game past and present. Money raised from the event will go to the scanner appeal at Kings Mill Hospital, Mansfield. Thank you to Mansfield branch secretary Peter Mitchell for his report and photo from his branches recent event. 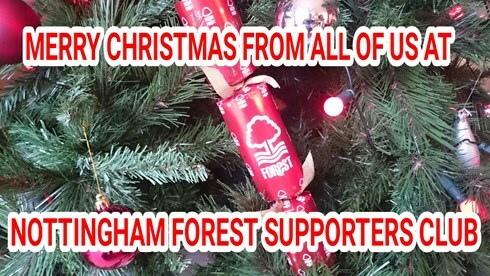 If any other branches would like their social events included on our website please email us at enquiries@nottinghamforestsupportersclub.co.uk with their report.